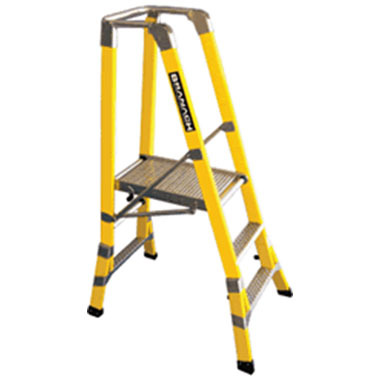 The Stiles or sides of the Ladder extend above the Platform (usually 900mm) to act as a handrail for added safety. 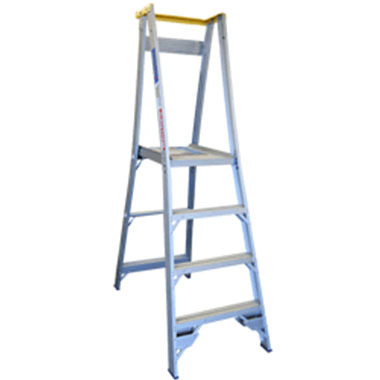 Platform Ladders are being used more often than Step Ladders as they provide more comfort & safety to the user. 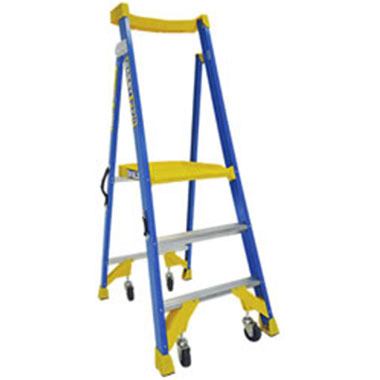 The treads & rear frame can be riveted, welded or swaged and they range in sizes from 2′ (0.6m) to 12′ (3.6m). 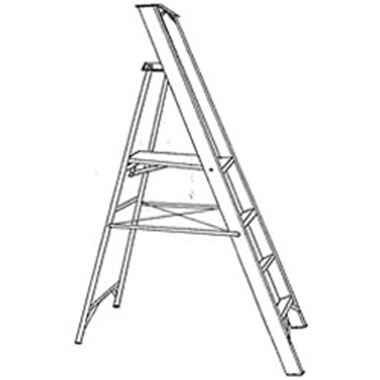 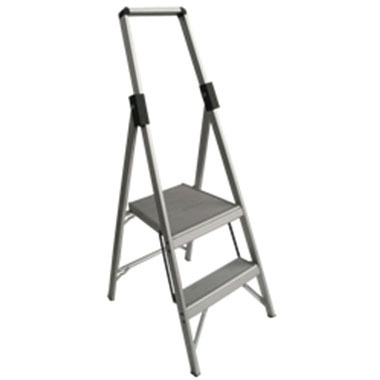 Platform Ladders can be folded together for easy transport or storage just like a Step Ladder. 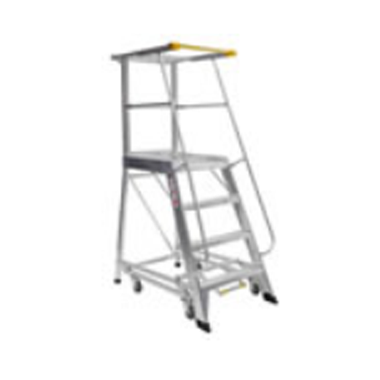 Some Models have options for Castors, Safety Gates, Safety Rails, Kickboards, Tool Trays and more. 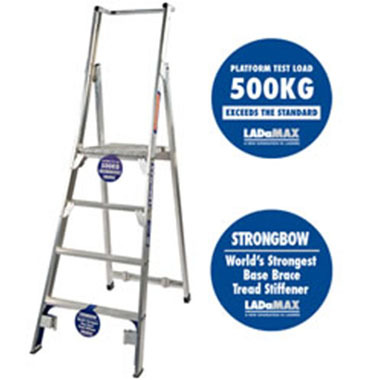 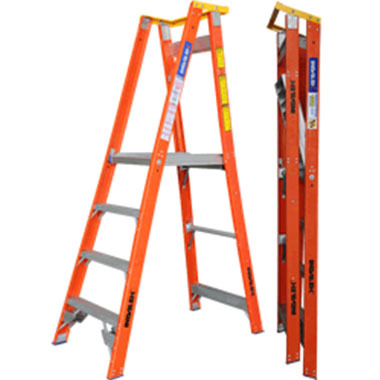 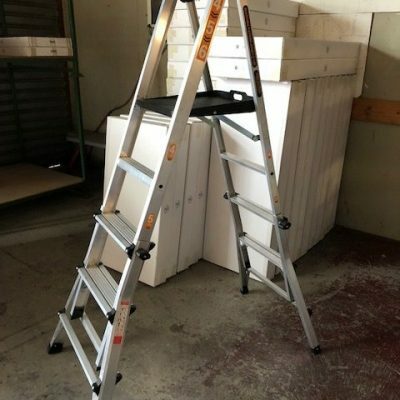 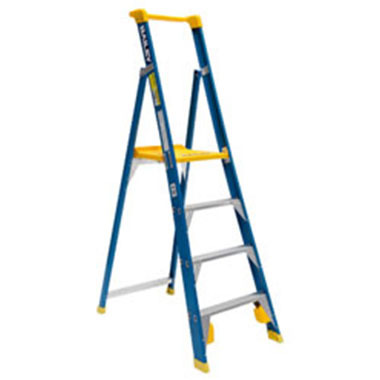 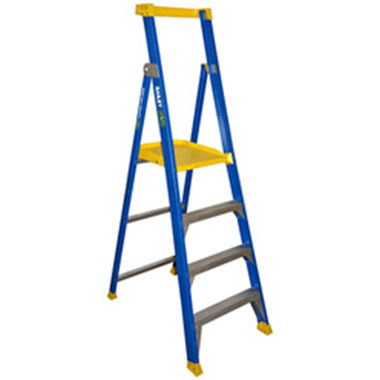 Ladder Shop in Sydney sell several Brands and Models with various Load Ratings, Features and Options. 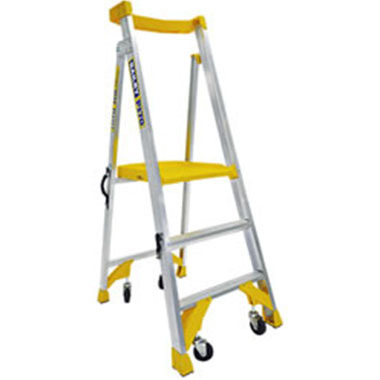 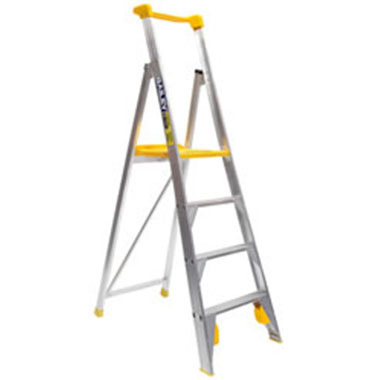 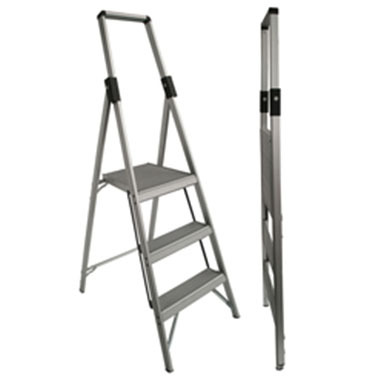 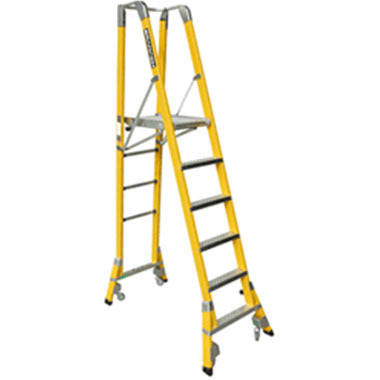 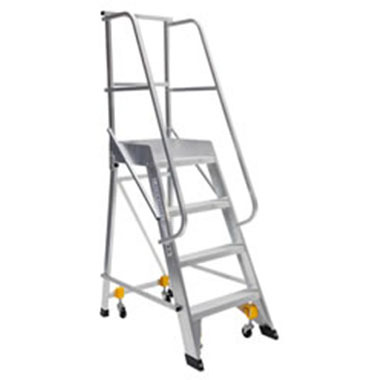 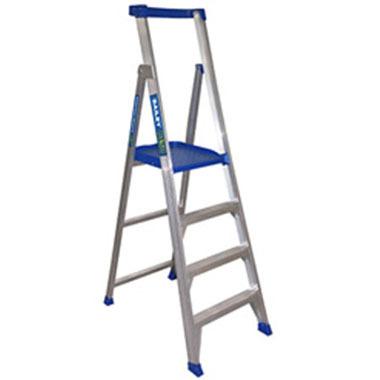 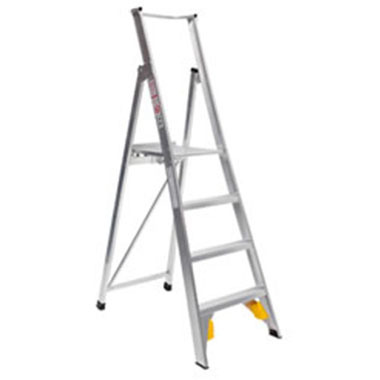 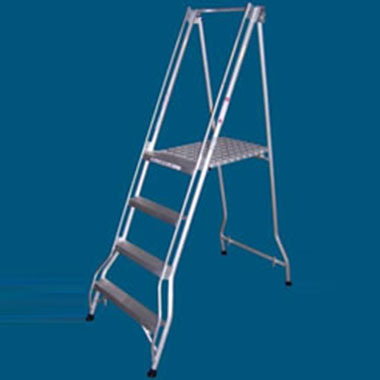 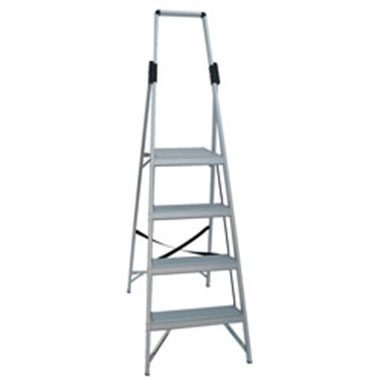 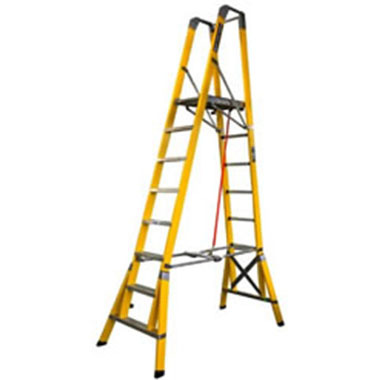 If you are looking for a Step Ladder with Extra Large Steps, check out the range of Aluminuim Little Jumbo Safety Steps. 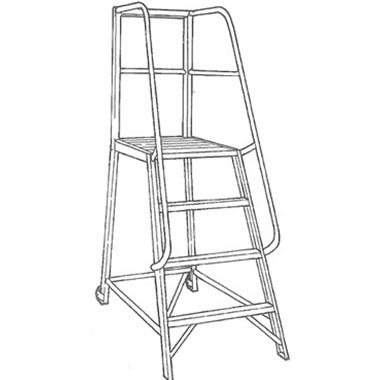 the range of Order Pickers. 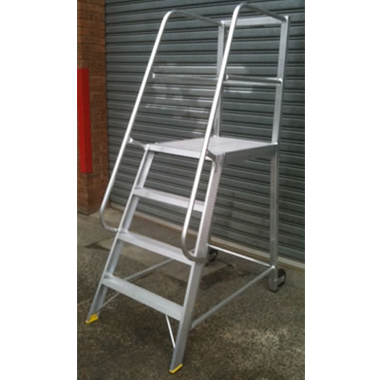 If you need a fully welded platform for work on construction sites, maintenance work or for access to mezzanines, check out the available range or customised Ladder Platforms.